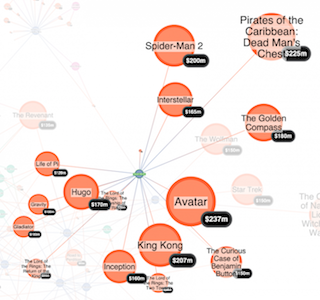 Creating a graph visualization application for your JanusGraph database. 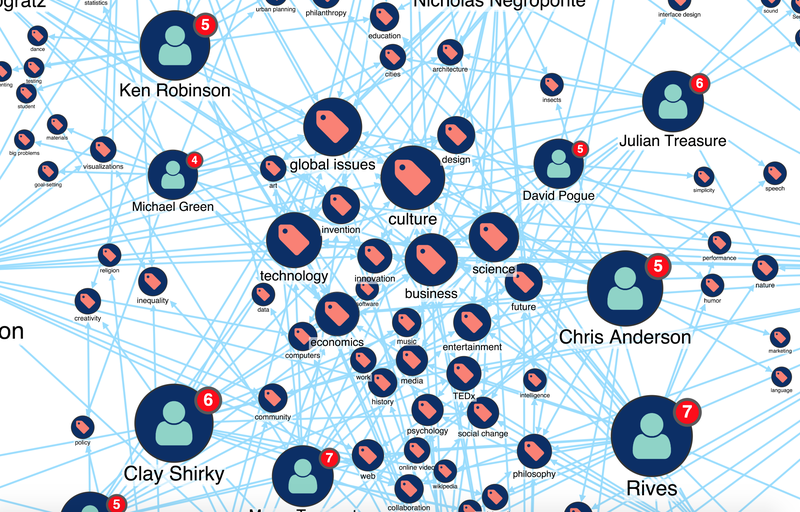 JanusGraph is an open source graph database — a successor of the Titan project — with some big-name backers at Google, IBM and Amazon. Like Titan, JanusGraph harnesses the TinkerPop stack for scale and flexibility. It can handle billions of edges and vertices across multi-machine clusters, and works with a range of different persistence, analytic and index engines. 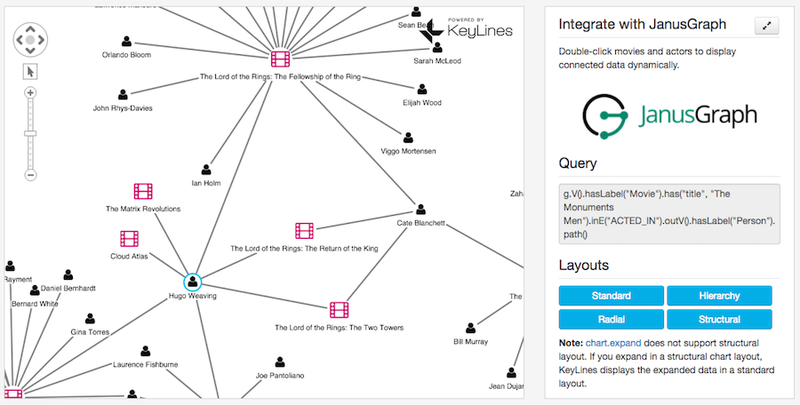 Its performance, reliability and flexibility make it a popular partner to the KeyLines graph visualization toolkit, with the two technologies integrating seamlessly in the graph application stack. To understand your graph data, you need to visualize it. This is where KeyLines can help. 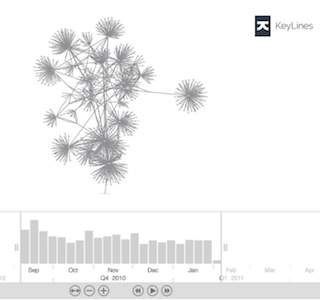 KeyLines is a toolkit for building powerful graph visualization applications. These apps can be rolled into your analysts’ tools and workflows and deployed anywhere in the world. They’re completely customizable and offer full interactivity – meaning your users can visually explore and understand their graph data insight. The user accesses the KeyLines visualization chart using any modern web browser. As they interact with the chart, events are raised – like click, drag or double-click. 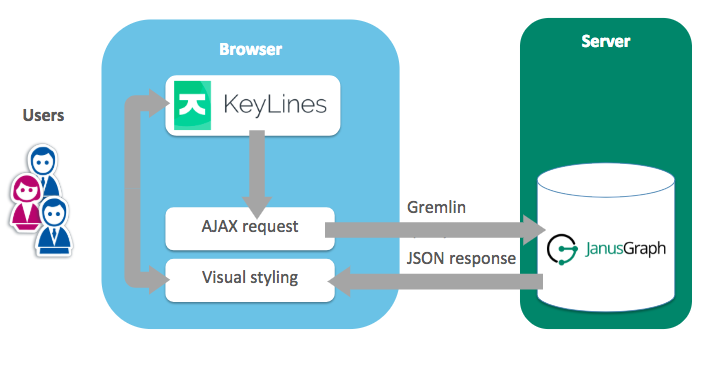 These then get transformed into a Gremlin graph query, via a jQuery AJAX request. JanusGraph receives the Gremlin query, and returns the data as a JSON object. This data is then styled and rendered back in the KeyLines chart. You can customize the events, how the data is added to the chart and the chart styling, meaning the full user experience and interface is suited to your users’ needs. We’ve written a handy tutorial to help you get started with your JanusGraph-KeyLines application. Before you get started, you’ll need to request a trial account of the KeyLines toolkit. With that, you’ll be able to download the KeyLinesJS file and download our pre-built JanusGraph demo application. Building a graph visualization application with KeyLines is faster and easier than trying to build something yourself. That being said, if you don’t have the development resources or time to build your own KeyLines application, we can help. Our team of graph visualization experts can apply their wide experience to your project – helping you to build the best graph visualization solution possible for your users and your data.